BNP Paribas has been promoting community health and developing amateur tennis culture by organising ‘BNP Paribas Amateur Open’ since 2013. 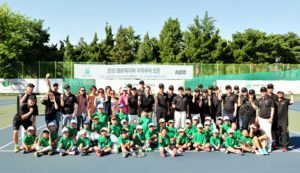 This year, ‘2018 BNP Paribas Amateur Open’ was held at Bucheon, Incheon and Suwon tennis courts from 1 September and 9 September. BNP Paribas Amateur Open is carried out in MA class – the highest class in amateur competitions – and more than 1,600 amateur tennis players are participating to this exciting event. In addition to the competitions, there are side events including free tennis lessons for children to build healthy habits and ‘junior tennis scholarship’ to support young tennis talent. Under the slogan of ‘We Are Tennis’ BNP Paribas has been supporting tennis for over 45 years in more than 100 countries. Since 1973, BNP Paribas has been the official sponsor of Roland Garros French Open, now one of the world’s foremost sporting events. 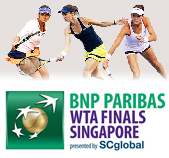 For more information on BNP Paribas’ long-standing partnership with tennis, please visit BNP Paribas’ official fan site (www.wearetennis.com) or BNP Paribas Cardif Life Insurance’s facebook (www.facebook.com/BNPParibasCardifKorea).